After a gap, TVS have revived the Victor brand, positioning the motorcycle between the Star City Plus and the Phoenix. The new Victor has a lot of various helpful features that include cosmetic and technological updates. The front of the motorcycle carries a curvy headlamp with a small visor to cover the instrument cluster. The seating position has been optimised for comfort and the soft single-piece seat also helps this cause over a short distance. The instrument cluster gets a neat analogue tachometer and a digital display, that integrates the speedometer, fuel gauge and the odometer. The motorcycle features minimalistic graphics which will attract people of all ages groups. Powering the Victor is a 110cc single-cylinder engine, which delivers 9bhp and 9Nm of torque with a four-speed transmission. The Victor returns a fuel efficiency figure of 59.8kmpl in average city conditions. The bike rides on telescopic forks at the front and adjustable dual springs in the rear. The TVS Victor is available in six paint schemes – blue, red, silver, grey, black/red and black/grey. The Victor is available in two variants – front disc and front drum. Its competitors are Honda Dream series, Hero Passion XPro, Mahindra Centuro and the Yamaha Crux. The TVS Victor is priced at Rs 52,217 (ex- showroom, Delhi). In terms of design, the new Victor is a first-generation model, that somewhat had a boxy and bland design. The complete look of the Victor is still functional, but it has now gone to several changes that include contemporary and attractive look, something which the previous generation models of the Victor lacked at. Starting from the front, the new Victor comes with a rakish front fascia, that comes with an angular headlamp surrounded by big plastic bikini fairing, giving the motorcycle a large face, thus making us believe that it has a big bike persona to it. There is a distinct looking daytime running LED strip below the headlamp, a first-in- segment feature. Bike refers to be the best mode of traveling, but when it comes to buying bikes then things are a little bit confused as there are several options available. This is a first class bike with inbuilt great features or specifications which makes it a great choice for all. 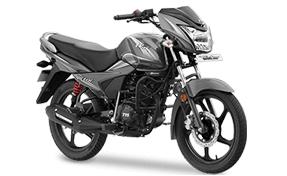 TVS has done a lot of efforts to position the Victor as a more premium model by offering the same with a great set of features, it has made changes to the basic powertrain as well. The Victor comes with the same four stroke, single cylinder, air cooled, 109.7cc engine from the Star City+, though it has been broadly reworked to max out different performance numbers from the engine. With a different 3-valve setup, the engine on the Victor produces 9.6PS of power and 9.4Nm of torque, which makes the Victor the most powerful motorcycle in its segment currently. A top class bike, with the fine engine, looks and great specification which makes it a first-class choice for everyone. This is a bike of today's generation where speed and looks matters with specifications as well. This is one of the most important points to be considered. You need to buy an insurance plan that is best suited for the type, make, and model of your two-wheeler. As the specifications on each two-wheeler might differ from another, it is wise to choose the insurance plan which will cover your two-wheeler model from every possible threat.